Note: The new bullet train line from Guangzhou-Guilin is newly opened. 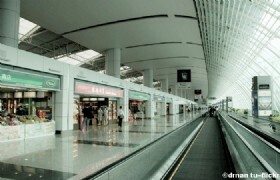 Now from Guangzhou to Guilin costs you only about 3 hou! Come and enjoy this wonderful China bullet train tour! The new bullet train line from Guangzhou-Guilin is newly opened. 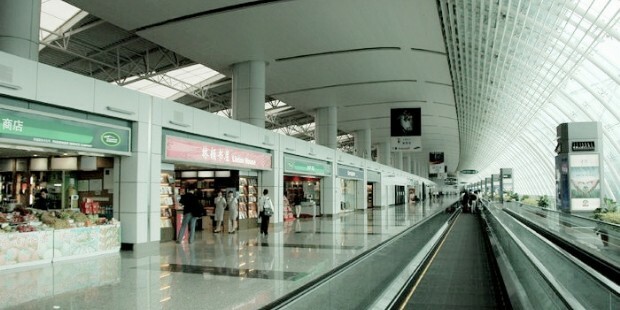 Now from Guangzhou to Guilin costs you only about 3 hours! Come and enjoy this wonderful China bullet train tour! Meeting our tour guide at airport, then transfer to hotel for a good rest. Hotel breakfast, then transfer to visit Yuexiu Park, Five Ram Statue, Sun Yat-sen Memorial Hall, Shangxiajiu Shopping Street, After lunch transfer to Guangzhou train station and take the bullet train to Guilin. Then transfer to Guilin hotel and check in. The Museum of Generalissimo Sun Yat-sen's Mansion: The Museum of Generalissimo Sun Yat-sen's Mansion is based on the site of the former Generalissimo Mansion. After breakfast transfer to Yangshuo (about 1.5h drive). 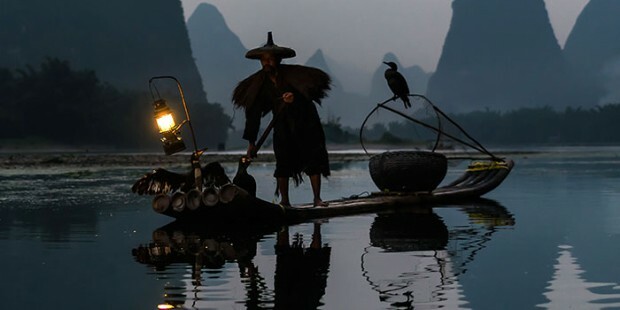 You will take a fantastic Li River （Fuli Section）Boat Cruise- Sight view between two banks, invert image, like a hundred miles decorated corridors. Then you will pay a visit to Silver Cave -The cave is deep and irregular, with a great number of stalactites of thousand charms, which, in lights glint like silver, hence the name of the cave. These majestic, diamond-like stalactites decorate the cave and make it into a dazzling place. Strolling along the West Street where is famous for its antiquated style and courtyard like environment. Silver Cave: Silver Cave is a typical karst cave, it go through under twelve peaks, and it is a floor-type cave. Inside the cave, there are stalactites that grown and developed in different geological ages. The stalactites here are crystal clear, perfectly clean, like Galaxy tilt down from the night sky, flashing like silver, and shine like diamonds, so called "silver Cave." After breakfast we will transfer back Guilin. 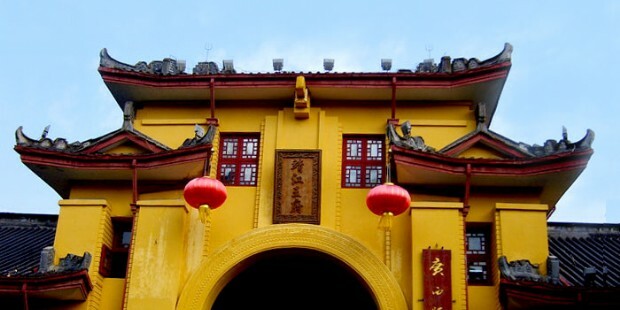 Along the way we will visit Shangri-La get a tour of elegant scenery，ancient bridge brook river，deep pool limestone cave and fallen village. 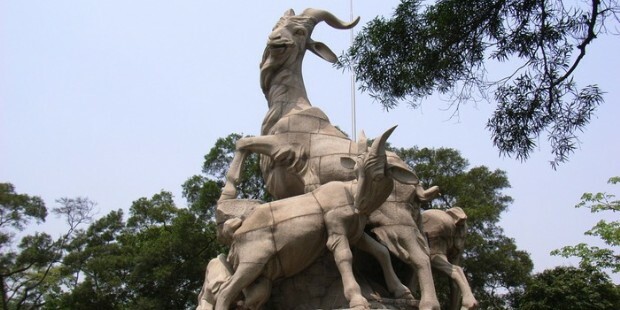 Continues our tour to visit the Rong & Shan Lake Scenic Area (Rongshanhu Jingqu) – see the thousand year’s old Banyan tree, Gunanmen, the legendary Nine Turn Bridge, and Twin summit sun - implies a better tomorrow. Transfer to Guilin hotel and check in. Shangri-La in Yangshuo: It is a place where peach flower bloom all the year and a paradise for the people of China. 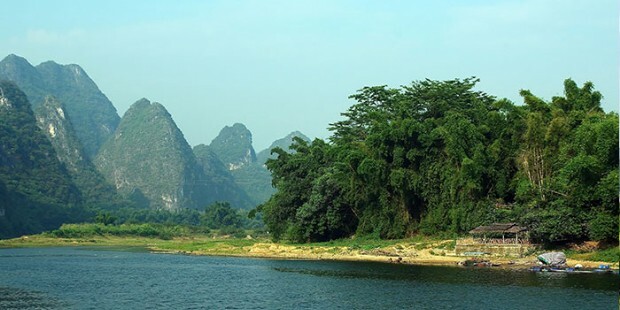 Rong Shan Lake Scenic Area: Rong Shan Lake scenic area is located in the center of Guilin city, the east of Yang Bridge is Shan Lake, and the west of the bridge is Rong Lake. Because the banyan and cedar grow here, so it’s called Rong Shan Lake (banyan and cedar lake). Big Bayan Tree: This spot is also famous because the popular Chinese movie "Liu San Jie (3rd sister Liu)" had some scenes filmed here. Jingjiang Prince City Scenic Area- Salitary Beauty Peak is a highest grade tourist resource in the city which was built on the site of the mansion of the Prince Jingjiang in Ming Dynasty (1368-1644). 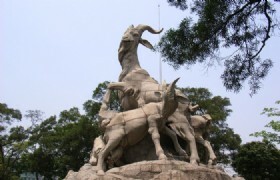 In the scenic area, the manmade sights embrace the natural beauty. 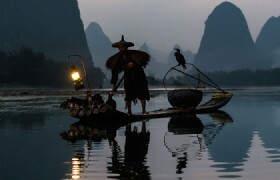 The authentic work of the inscription "Guilin's Scenery Ranks First in the World" is found there. 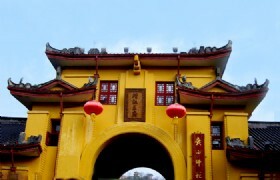 It is a typical representation of the culture and history of Guilin. 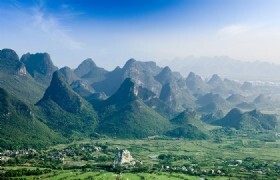 It boasts because of the natural beauty and the highest mountain in Guilin. 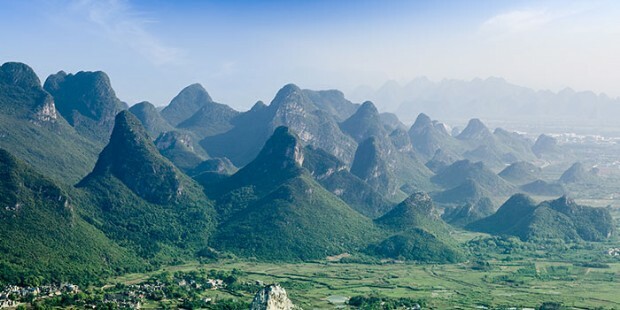 Continues the trip to Folded Brocade Hill (Diecai Hill) where you can overlook the Li River and other nearby peaks including Elephant Trunk Hill it is an excellent place to get a birds-eye view of Guilin. Stroll along ZhenYang Walking Street. Folded Brocade Hill: As one of the most popular tourist attractions in Guilin, the Folded Brocade Hill is especially renowned for its picturesque scenery and stone carvings. 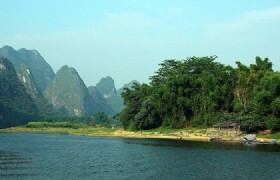 The hill stands in the northeast of Guilin at the western bank of the Li River. The current Folded Brocade Hill derived its name from its unusual looking of rock formations which resemble folded brocade piled up layer upon layer on each other. Also the hill was given the name Laurel Hill as laurels spread across the slopes of the hill since ancient time, and the name of Wind Cave Hill got from the fantastic Wind Cave on the hill. After breakfast we will transfer to Train Station to take High-Speed Rail to Guangzhou. After lunch we will transfer to airport for the back flight. The second-class seats ticket of high-speed rail from Guangzhou to Guilin and return.